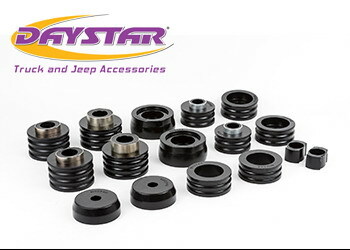 Daystar Body Mounts are precision-engineered to be a direct replacement for factory mounts. They are constructed of a special polyurethane blend that helps insulate the cab while maintaining superior holding power. Our body mounts are the perfect upgrade for worn stock mounts and are particularly beneficial in racing applications.